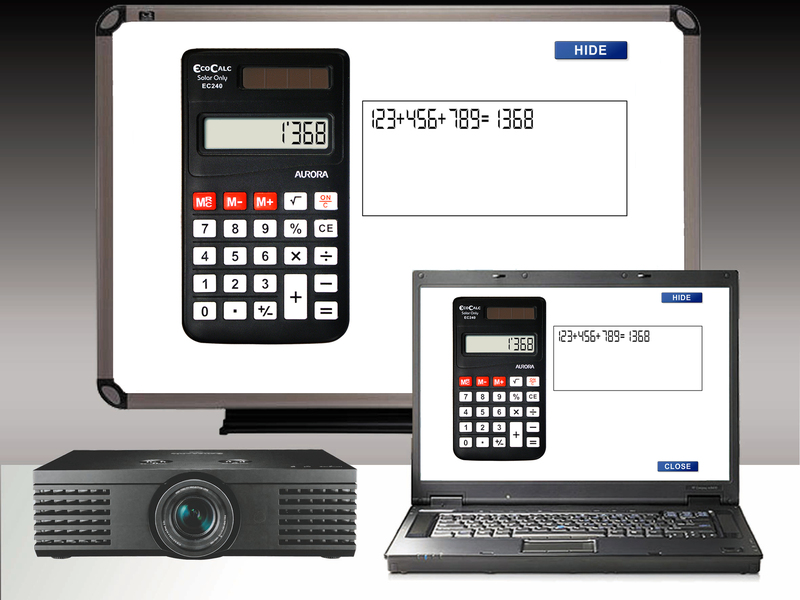 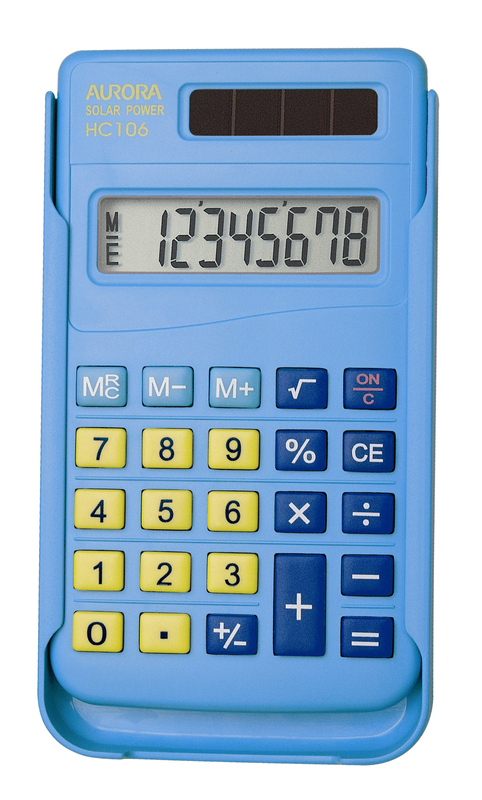 30 x EC240 calculators ideal for KS1/KS2. 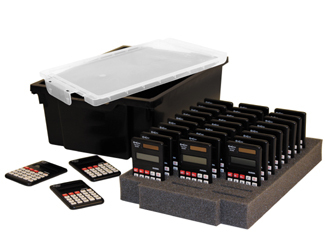 A black recycled Gratnells storage tray. 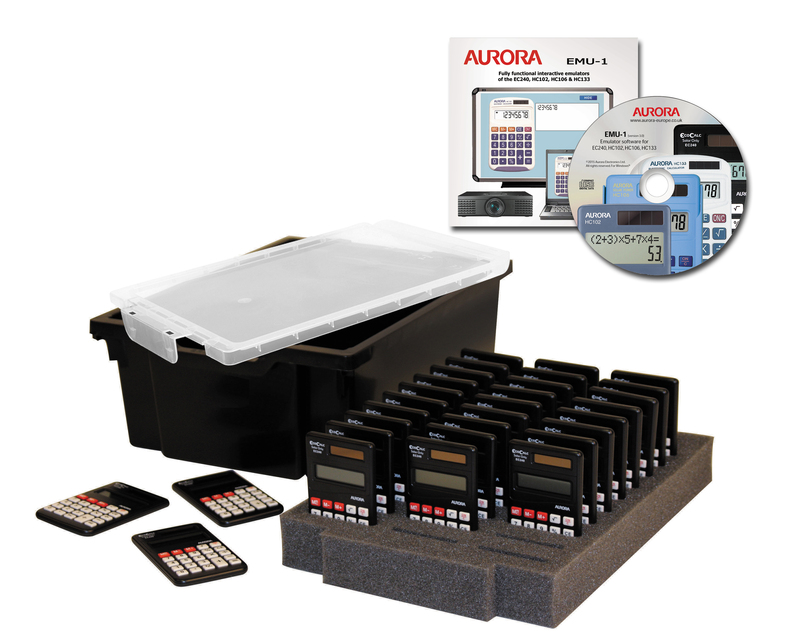 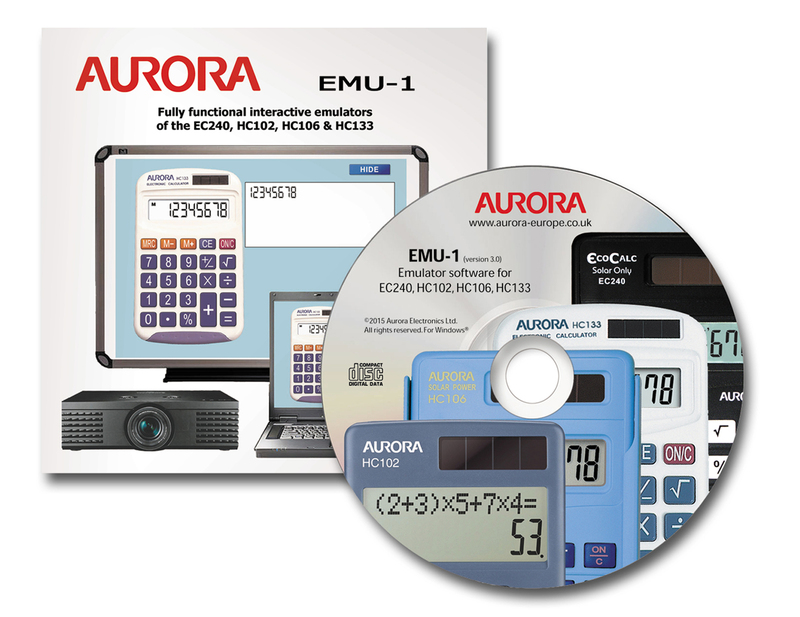 The EC240 is part of Aurora’s EcoCalc range. 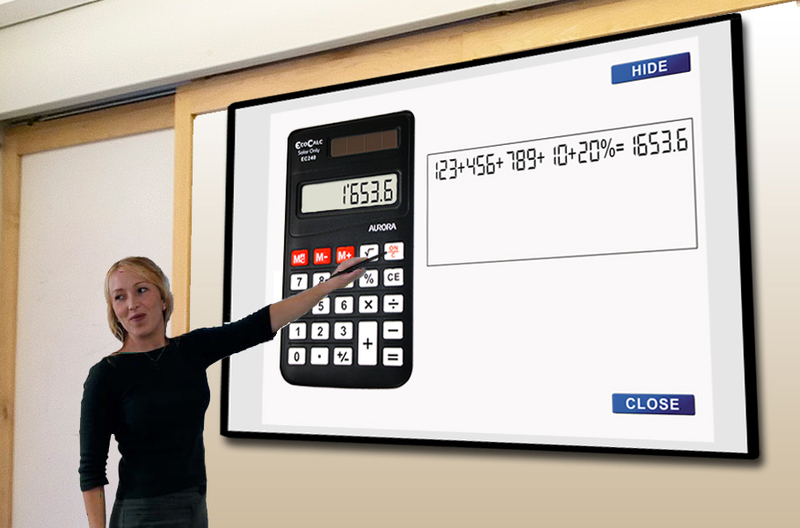 of the calculator onto the whiteboard. 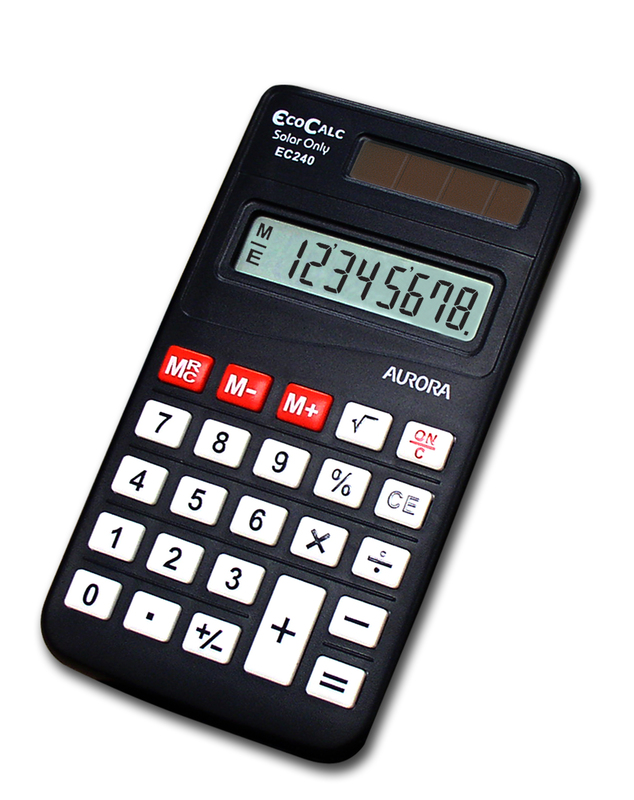 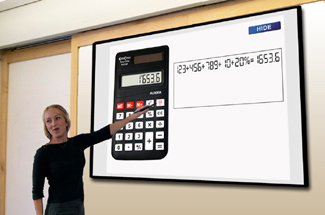 calculators being used by the students.